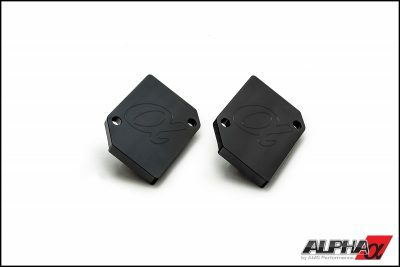 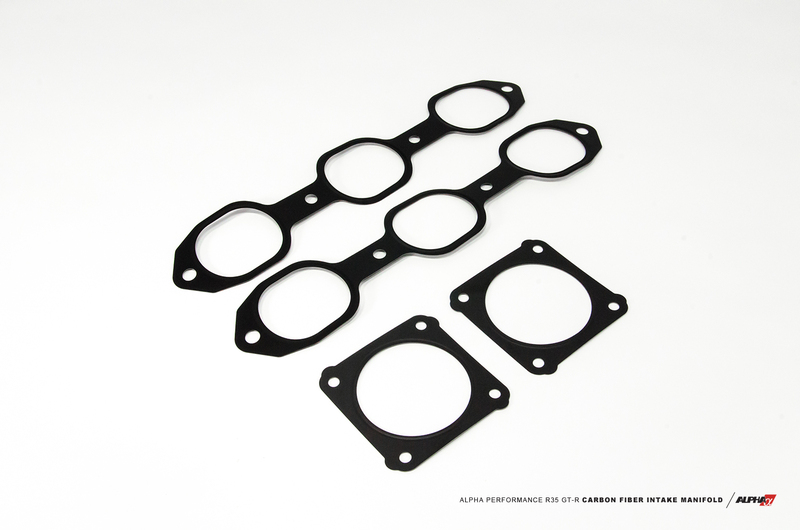 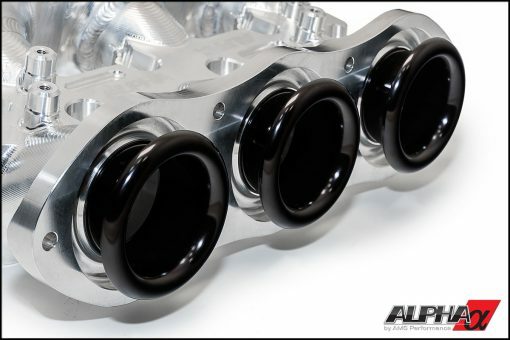 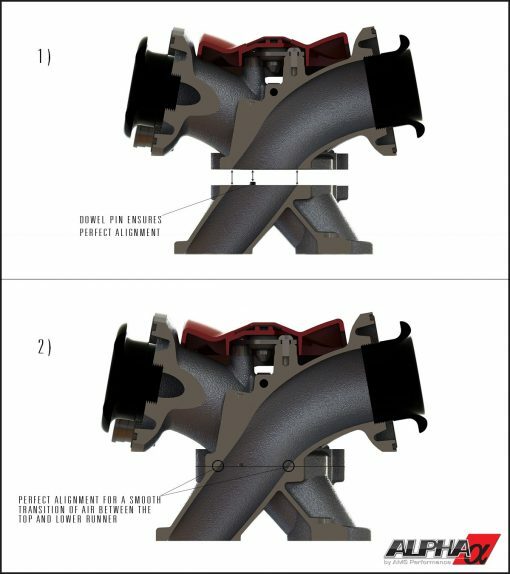 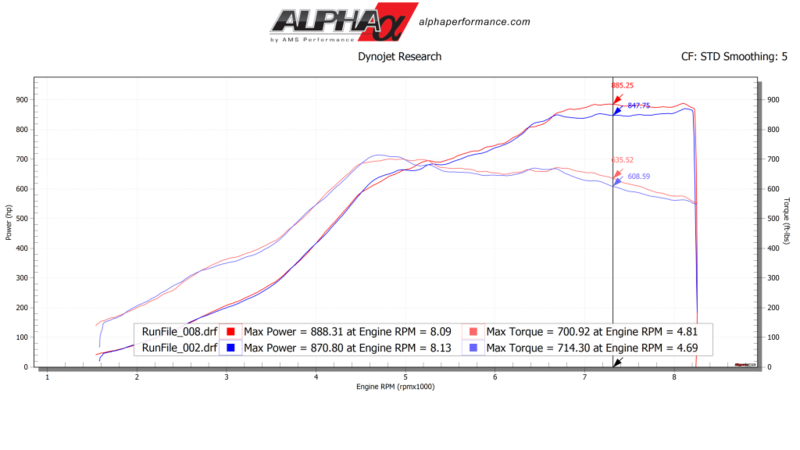 Introducing the new Alpha 18 injector (injectors not included) R35 GTR intake manifold! 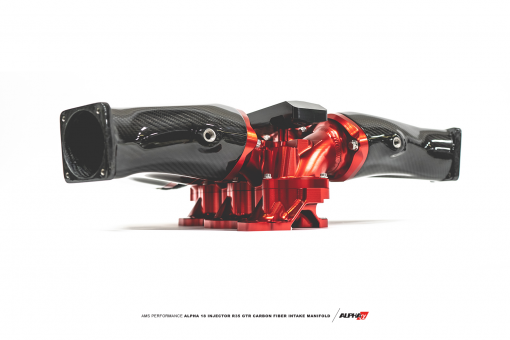 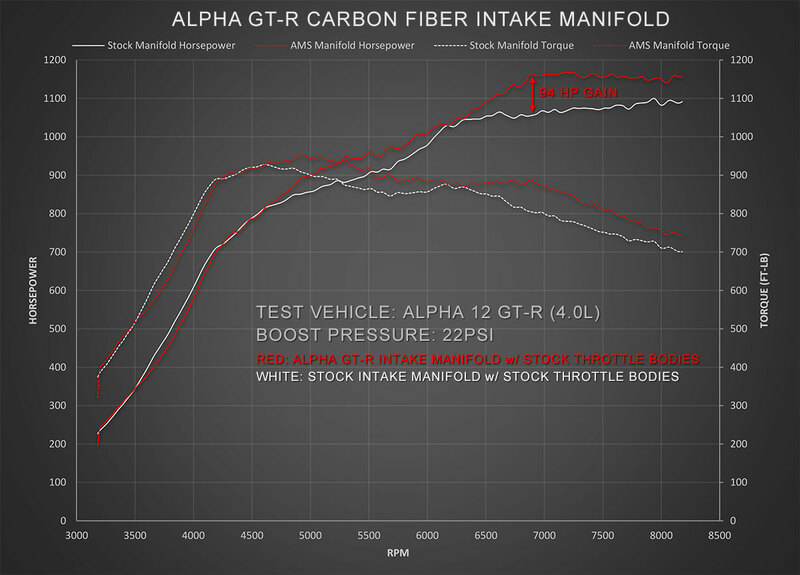 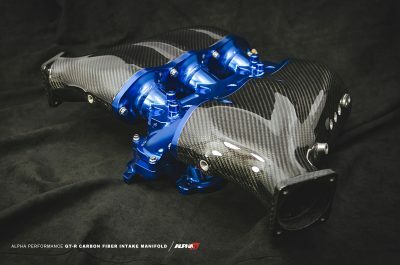 The Alpha R35 GT-R Carbon Fiber Intake Manifold has been painstakingly designed by AMS to be the most efficient and power producing GT-R intake manifold on the market. 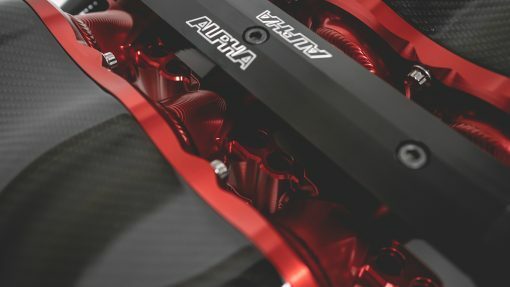 Now Capable of Running 18 injectors! 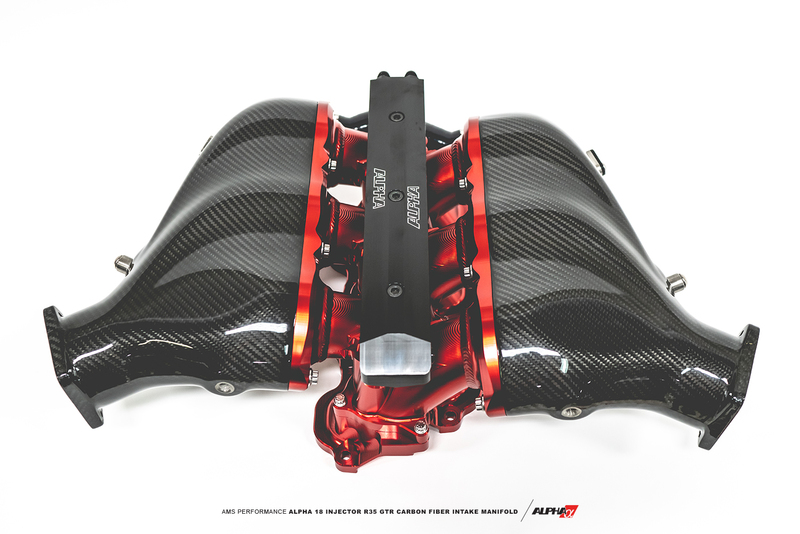 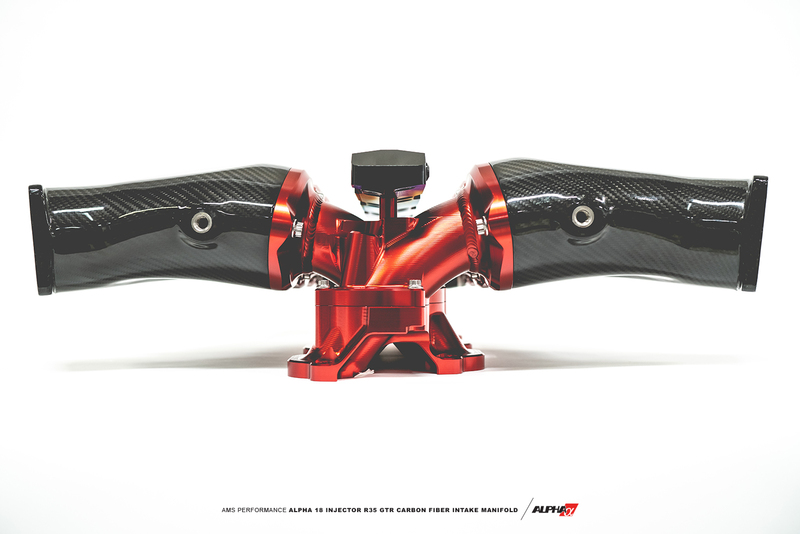 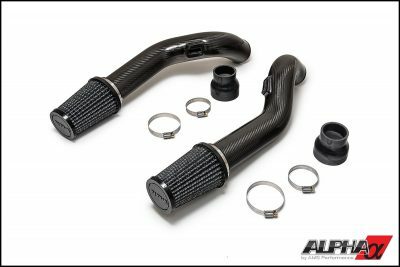 The original Alpha Performance R35 GT-R Carbon Fiber Intake Manifold was painstakingly designed by AMS to be the most efficient and power producing manifold available. Now, AMS has now made it possible to run 18 Injector Dynamics injectors (not included) in the same award winning design! Attention to every detail was accounted for when creating this high performance induction component. 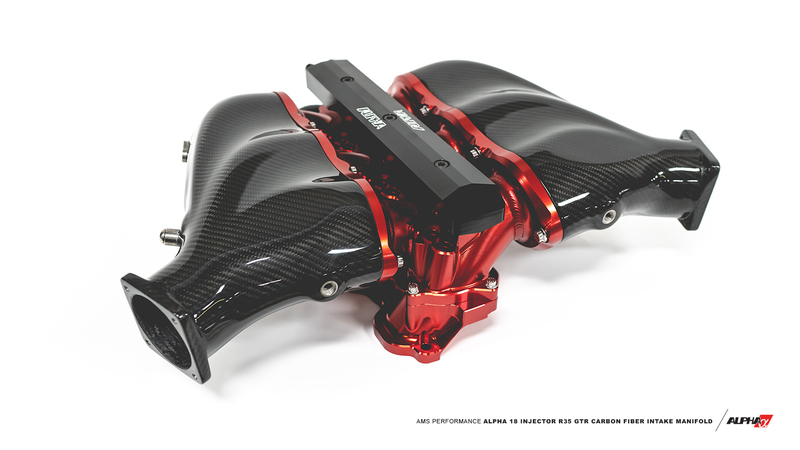 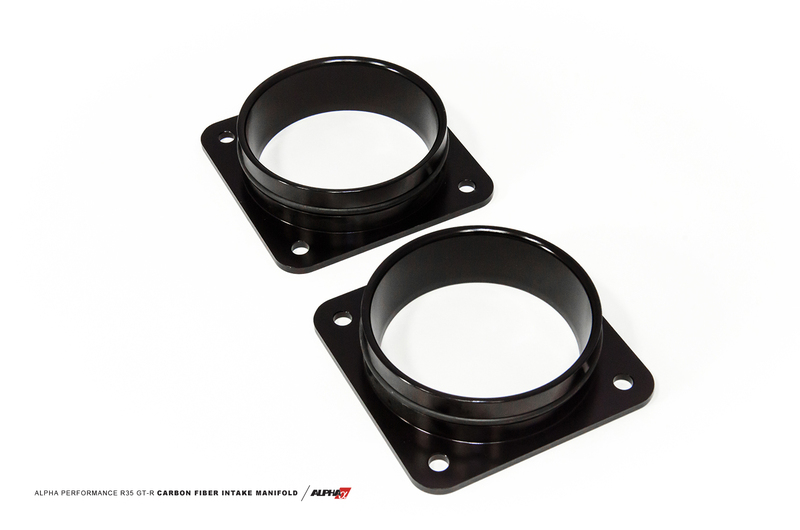 On looks alone, you might agree, it makes the perfect centerpiece for your GT-R’s engine bay. 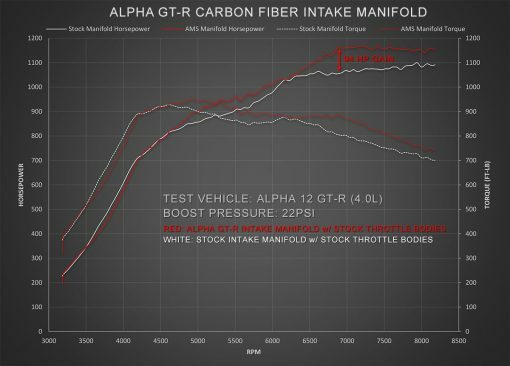 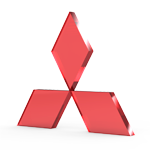 However, if you’re familiar with the Alpha product line, you already understand that our aspiration has always been to offer you much more! 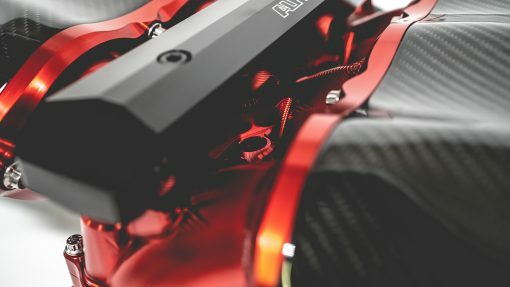 For extremely high-powered GT-Rs, provisions on the manifold and an additional Alpha fuel rail are installed which will supply enough fuel to feed a VR38 engine capable of producing over 2000+ horsepower. 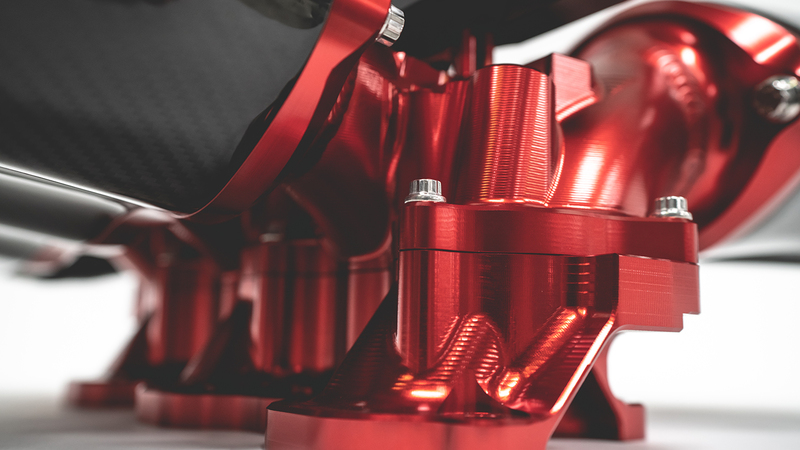 Positioning of fuel injectors is critical since optimizing the spray angle of the injector can improve fuel atomization and efficiency. 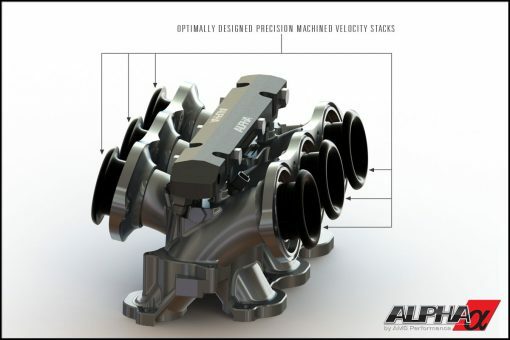 Our engineers took all of these ideas to heart when designing our third rail setup to support a total of 18 individual injectors. 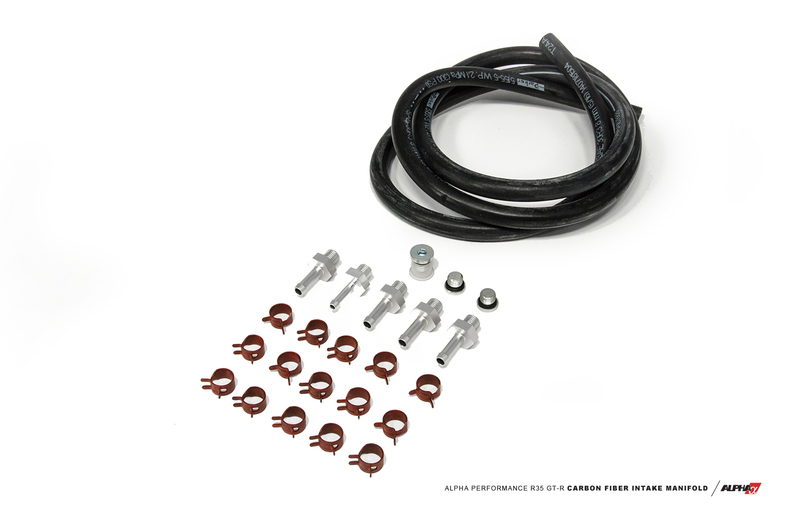 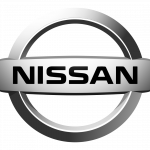 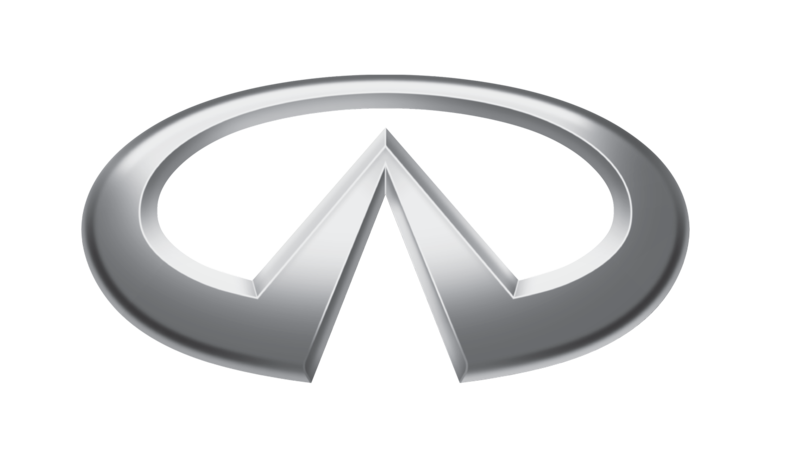 Injectors, injector wiring, and fuel lines are not included and must be custom designed and built. 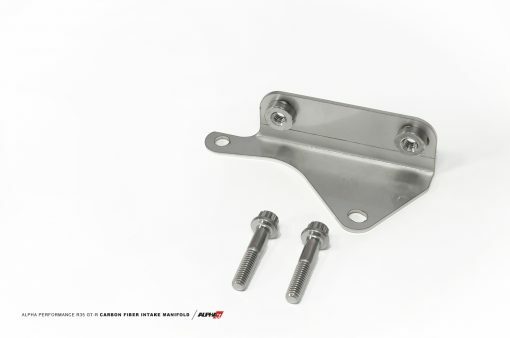 While other fuel rail kits may work (stock rails are not compatible), AMS can only guarantee AMS Fuel Rails to be compatible with this intake manifold. 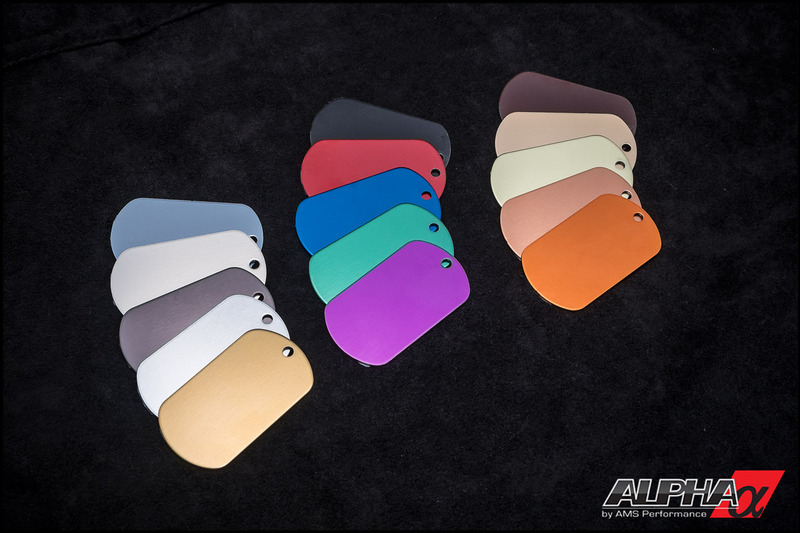 Custom color anodizing can add 2-4 weeks to build time.